Food is part of every travel experience. No trip is ever quite complete without you trying out at least one local delicacy. Some people even travel just for the sake of food, looking for culinary adventures in different parts of the world. But good experiences are not always easy to come by; more often than not, it takes a lot of research, trial and error and of course, asking around. The eTamping.com blog post I Would Rather Go Hungry Than Eat Filipino Food Again was an eye-opener for some but it may also be a simple case of unmet expectations and badly directed research. After all, they did describe the small carinderias as restaurants. Had they gone into more “upscale” places, they would have had an entirely different experience without having to go over their “tramp” budget of $25 a day. Or maybe after all that disappointment, they could have decided to just forget the $25/day rule and headed straight to the nearest Vikings Luxury Buffet. 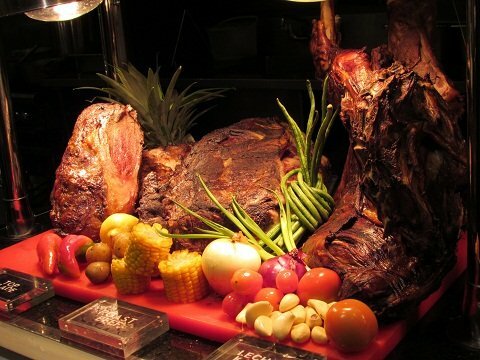 Vikings is a luxury buffet restaurant in the Philippines. 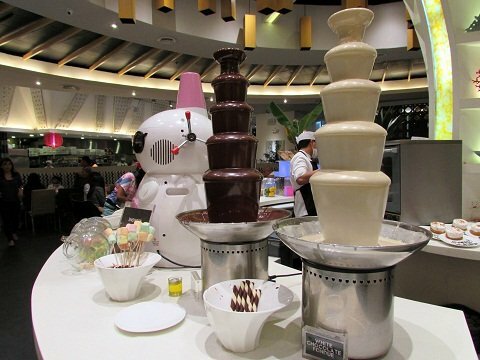 It is the biggest buffet restaurant in the country and also easily one of the most popular. Despite the expensive per head rate, long lines can be seen outside the restaurant especially on weekends; even getting a reservation can be a challenge! I have dined at Vikings Davao twice: the first time out of curiosity and the second time because I just had to go back and have some more. My first visit was something I would like to call as “uninformed”. I went from station to station picking out dishes that I liked, most of which I can easily prepare in my own kitchen. Big mistake. So I came back one weekend with a plan. No more binging on dimsum, cheesecakes and ice cream this time. I intended to get my money’s worth this time around. Locals and visitors alike find themselves delighted by the ambiance and food. 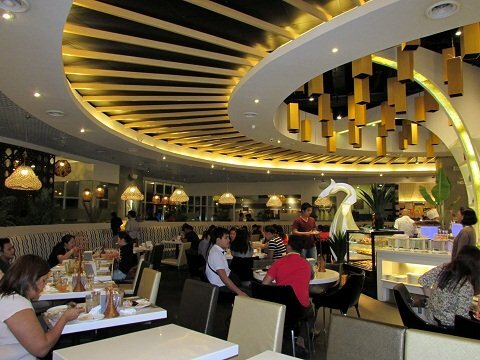 Dining in Vikings Davao has become a goal for most mall-goers in the city. The restaurant is located in the ground level Fountain Court of SM Lanang Premier, the biggest and most upscale shopping mall in Davao City. 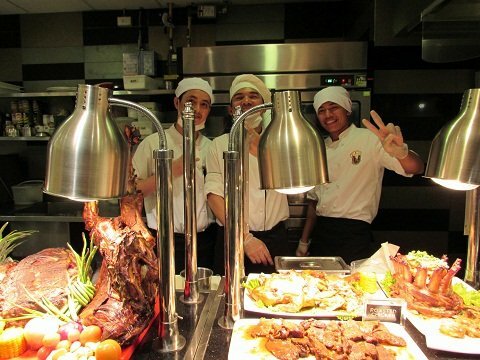 Vikings Davao boasts of a huge dining area with food stations located along the sides and at the center. Comfortable booths and tables are located all over the restaurant, almost always bustling with diners happily consuming their nth round of steaks or shabu-shabu. 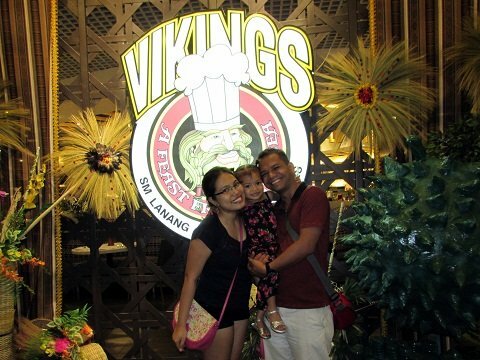 Food in Vikings Davao (or any Vikings branch for that matter) is inspired by cuisines from all over the world so it’s really hard to get disappointed in this restaurant. 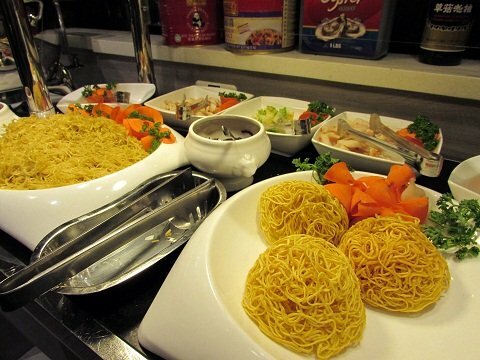 Choices range from Chinese and Fil-Asian to Italian and American. And the desserts! I can’t even begin to describe the wide array of sweets on offer all in the middle of the room! The Fish Furai is exquisite, even without the Tonkatsu sauce. 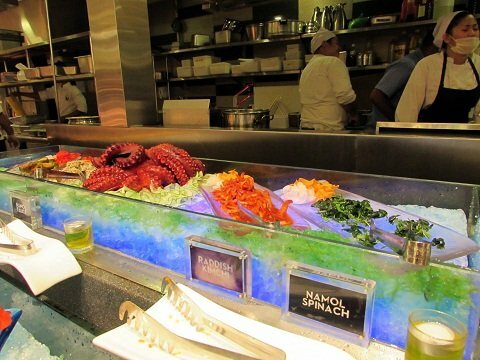 Raw seafood and Korean classics. Visiting Filipinos based abroad love the puto bumbong, a Christmas delicacy in the Philippines. And of course there’s chocolate fondue. There’s white chocolate too! 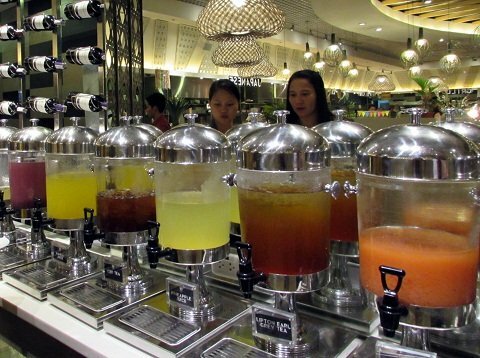 There is a beverage station on the right side of the banquet filled with jugs of fruit juice, iced teas and smoothies. There’s a tap for draft beer, a gourmet coffee machine and an impressive selection of wines. However, should you wish to have a glass of wine, it would be for a separate charge. 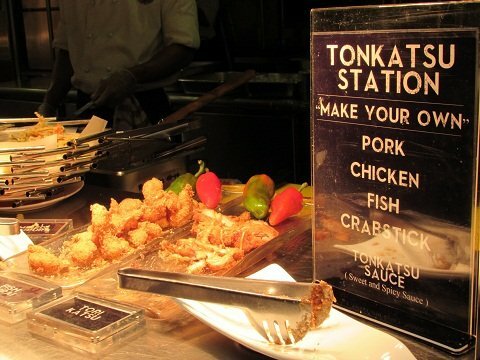 Aside from the desserts, kids would love the station dedicated party favorites like hotdogs, pizza, corndogs, chicken lollipops and French fries, among others. They even have separate dining sets for the little ones. I read an eating guide for Vikings a couple of weeks before my second visit so knew which dishes to eat to make the most out of the P888+ (about US$20) dinner cost. Eat more of the roast beef and lamb, salmon and seafood are the best advices I got from that guide and I must say I made good on my money. -Make reservations especially if you’re coming on a weekend. 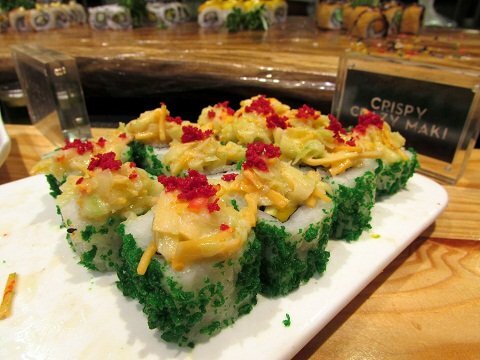 -Come early to have ample time to enjoy the food. -Do not hesitate to ask for a tour. 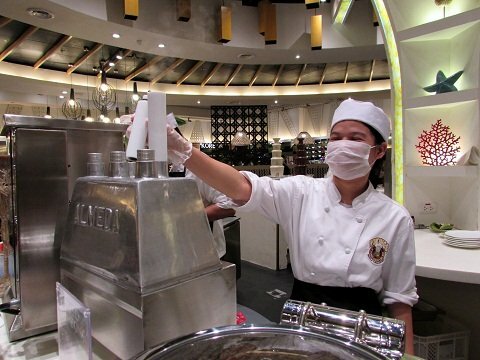 The attendants and chefs are always happy to assist and give recommendations. Friendly chefs ready to carve, roast and season steaks based on your preference. We took the “mandatory” photo/selfie with the Vikings logo in the background then we were good to go. This experience was truly satisfying and yes, I would gladly treat the eTramping guys to dinner at Vikings Davao if only to change their impression on Filipino food and dining in the Philippines in general.